In fact, high-maturity organizations, or those using people analytics in a sophisticated and insightful way, report 82% higher 3-year average profit than their low-maturity counterparts. 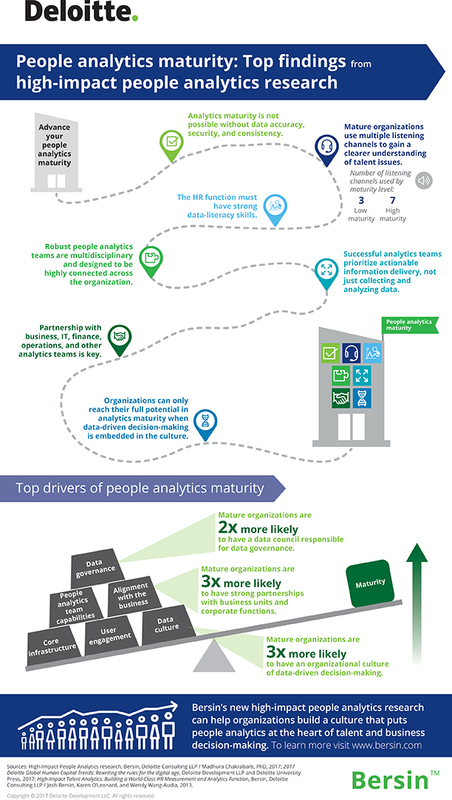 In its report, High-Impact People Analytics: The 2017 Maturity Model, developed after 1 year of extensive research, Bersin identifies seven leading practices and describes ways that companies can rapidly improve their analytics strategies. These seven tips have been outlined in the infographic below.